If you’ve been reading me for any length of time, then you KNOW I sort of have this unhealthy obsession with National Novel Writing Month (NaNoWriMo). And it’s unhealthy in the fact that I REALLY get into it. 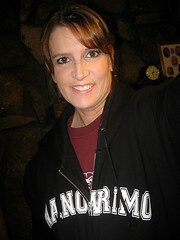 So much so, in fact, that I splurged on this totally awesome, but totally overpriced (IMO) NaNoWriMo hoodie. But hello?! Check out the awesome-ness!! And besides, I’m justifying the overage on the fact that it’s going to a good cause and OH MY GOSH, I’ve never run across a writing program that has blessed me more. I will likely wear this hoodie for many, many years — I’m the sort of person who tends to literally wear out her clothing, so I will definitely get some good use out of it. And who knows? Maybe someone will ask me what the acronym stands for and I’ll have a chance to scare tell them all about the most awesome writing program available. And that’s exactly why this project appeals to me so much – the QUANTITY part. I spend too much time worrying about the quality. In fact, there are times it actually paralyzes me so that I either get discouraged or disgusted with myself – either way, I end up quitting my project. But NaNoWriMo has given me permission to just write. I tie my inner critic up, shut the bugger in a closet and I’m FREE to write anything I want. It’s soooo liberating. But instead of of continuing my random blubbering about the program, I’m going to take Benjamin Solah’s questions and answer them here. This will give you a pretty good idea of how I feel about NaNo and what my plans are. If you want to take these questions and answer them on your own blog, be sure and let Benjamin know that you participated. Ugh. I’ve been staring at this question for eons. HOW did I find out about NaNo? I can’t remember! I’m thinking I stumbled across … oh wait, yes I DO remember!! (I’m excited because it’s a big deal when I can remember things *smile*). I was reading a chick-lit blog maintained by four really awesome writers. Three of the writers escape me at the moment, but one of them stuck out – Lani Diane Rich. I loved her voice so much that I followed her links back to her personal blog and read more about how she got started in writing. And she got started with NaNoWriMo. In fact, she went on to PUBLISH her NaNoWriMo novel!! I thought that was sooo cool and to this day, that still inspires me. After I researched the program a little more, I got terribly excited and immediately signed up, October 1, 2005. I was scared out of my cotton-picking mind when it was time to start. I wrote some such crap nonsense story about a woman who travels to New York City to try and make a go of her desire to be a talk radio host. It was truly garbage. No, really. I’m not sugar coating it, it really, really stunk. But that wasn’t the point. The fact that someone finally gave me permission to write, to just let go of my inhibitions and WRITE, was really the thing I took away from the experience. I’ll never forget that feeling – it was amazing and was quite literally what broke my literary cocoon — I emerged not necessarily a better writer, but definitely a more free writer. This will be my fifth year. I plan on participating in NaNoWriMo until I reach the day I A. don’t remember what NaNoWriMo stands for and/or B. when I’m physically unable to. I’ve won all four years. And I will continue to win because I’m too OCD NOT to. Really well, actually. I have settled into a groove, I suppose. I just mentally prepare myself to write 2,000 words, period. I don’t think about it too much, I just do it. I’m usually really strong in the first two weeks, and I actually get ahead of the game (you need to write 1,667 words a day in order to make your 50,000 goal), which is good, because by the third week, I’m burned out and I rarely end up writing that week. Then, by week four, I’m panicking because time is ticking and I REALLY want that nifty winner’s badge, so I buckle down and cross the finish line with usually one or two days to spare. Where do you write and with what do you write? I have to leave my house to write. I usually end up in either a study room at the public library or at the university library where it’s really, really quiet. Sometimes, if I have a full day scheduled, I’ll get up early and shut myself off in my husband’s music studio and write before everyone else gets up. It has to be really, really, and I mean REALLY stone-cold silent in order for me to write. I usually cart my laptop around. Though there have been times I’ve taken my Neo someplace off-the-wall, like the park or the lake, simply because I need a change of scenery. This year might be a challenge though. I work from home so have had the freedom to do all of that in the past. This year … I will likely end up getting a holiday job (hoping it turns into something more permanent after the holidays) so who knows how that will pan out this year. Kevin, my husband, is very supportive. He knows how important this is to me, even though he doesn’t fully “get” it. He’s rarely around when I’m writing, but on the weekends, he’s usually okay with me leaving and hanging out at the library for a bit AS LONG AS it doesn’t completely interfere with our time together. I can’t ask for a more supportive spouse, quite frankly. The boys don’t really get it either. They just roll their eyes at me, but they are interested enough to ask what my word count is and that really warms my heart. What are you strengths and what do you use to help you get to the end? My strengths are my beginnings. I pride myself on starting the story smack dab in the middle of the excitement. My characters are usually pretty charismatic, if not a little inconsistent, but I enjoy surprising the reader with an uncharacteristic move now and again. I think my biggest motivation to finish is seeing that fancy-smancy YOU WON page that pops up after you submit your final word count. That and the web badge. It’s quite a high to me to know that I produced that much in such a short amount of time. My biggest obstacle is my procrastination and short attention span. I am INSANELY EASY TO DISTRACT. So making myself sit down and write is my biggest challenge. (Like this entry? I think I’ve stopped and gone to go do something else about 30 times now). Do you plot/outline/plan or do you write by the seat of your pants? How much do you plot or how unprepared are you? Good lord, no. I WISH I had the discipline to sit down and plot out my story, I’d get so much done and I’d actually finish something, but no. I prefer to follow my characters around like an eager dog just waiting for that delicious bone. Again, I get bored. I like surprising myself because my characters inevitably take the story off in a direction I never, ever thought possible and suddenly, I’m faced with a new challenge. So no, I don’t plot. I’m a pantser – I just write by the seat of my pants. Do you participate in the real life community, go to write ins and meet ups in your area? *sigh* I would love to. But my community seems to lean toward drama. In fact, the very first email I received for this year’s NaNo cautioned, and outlined, what to do if/when someone acted inappropriately. No thank you. I don’t DO drama. I simply won’t put myself in a situation where I’m forced to deal with it. I’ve read enough of the online exchanges to know, they simply aren’t my crowd. They’re all college-aged kids hell-bent on being cool and drowning their livers. Again, I’m way too old for that crap and I’m simply not interested. For some odd reason, I’m like Pavlov’s dog when it comes to writing. I MUST have some sort of caffeinated drink by my side when I write. That could be coffee, it could be an energy drink, but I always seem to write better when I’m high on caffeine. I try really hard to stay away from the sugary snacks – I crash pretty hard – so I tend to snack on crackers, dry pancakes and flour tortilla shells. Yes, I AM that boring. I also have to wear my reading glasses. I technically don’t need them, but I feel smarter when I wear them … so I wear them. Hey, I can use all the help I can get, thank you very much. My goal, if it pans out, is to post a little something from my main character on my blog each week. Who knows if it will work out, but that’s my goal for now. Good luck if you’re participating!